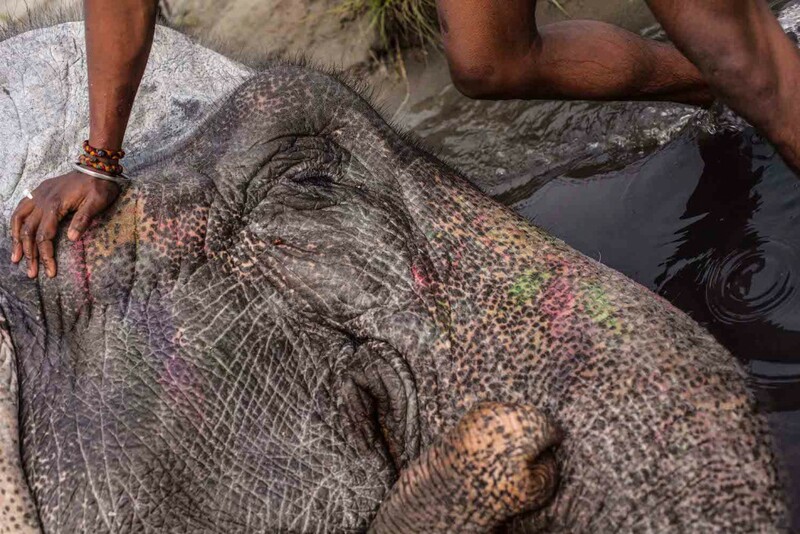 “Come on, come on!” cries Mohammad Saddam in Hindi as I strip off my jeans and stare apprehensively after him and the other three mahouts (elephant riders) who are already splashing into the water. 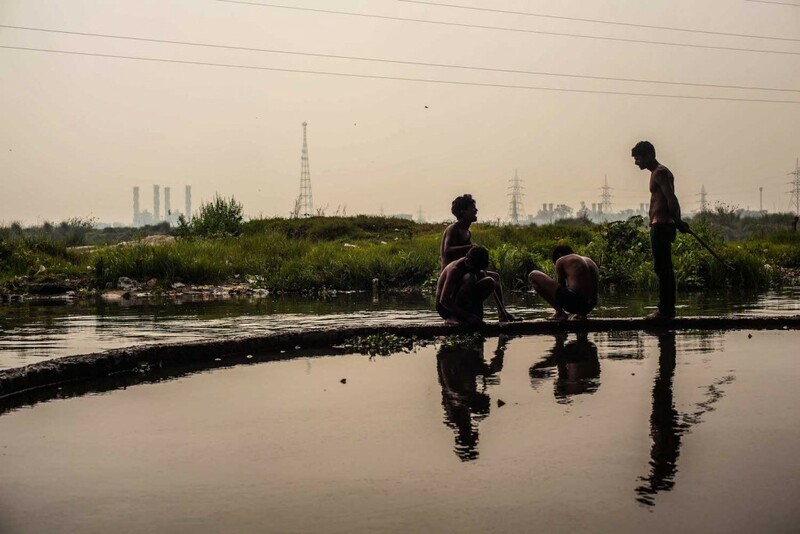 Ordinarily I’d be the first to dive into any body of water, especially in the scorching Delhi sun. 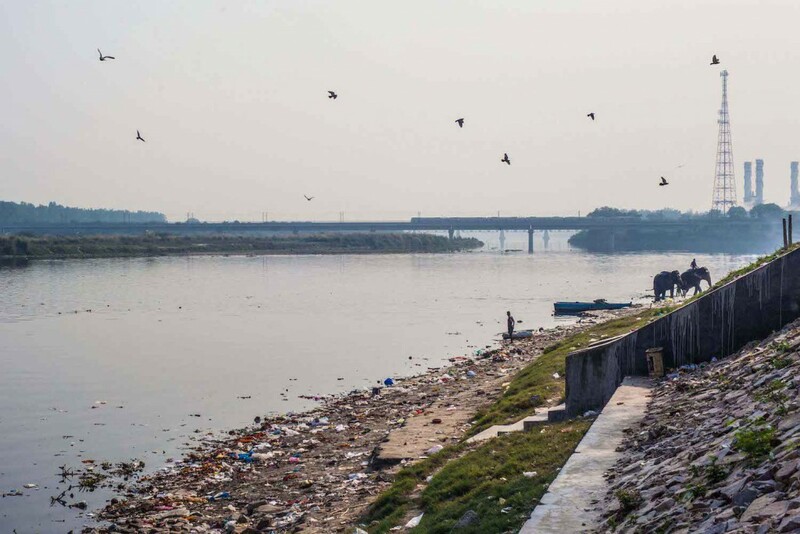 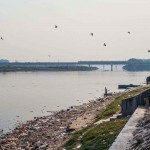 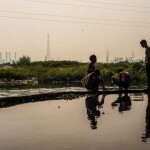 But as I stare out over the muddy, polluted sludge the Yamuna River has become, I think I’m having second thoughts. 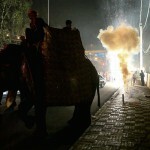 It’s more the sound than the sight that makes me quickly change my mind. 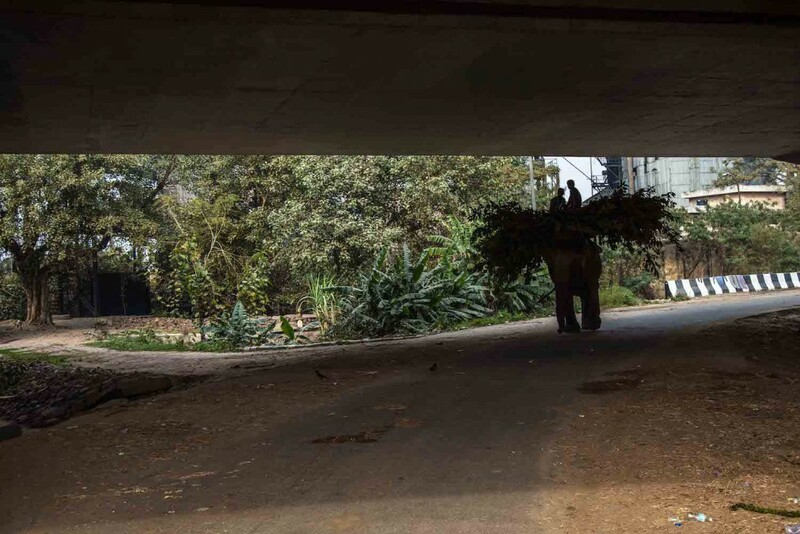 The trumpeting boom from the nearest elephant echoes around the warm concrete underbelly of the bridge, it’s too amazing to resist. 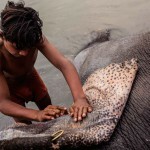 Over the next hour, the four mahouts smile and laugh (mostly at my expense) as we wade waist deep with the grey giants. 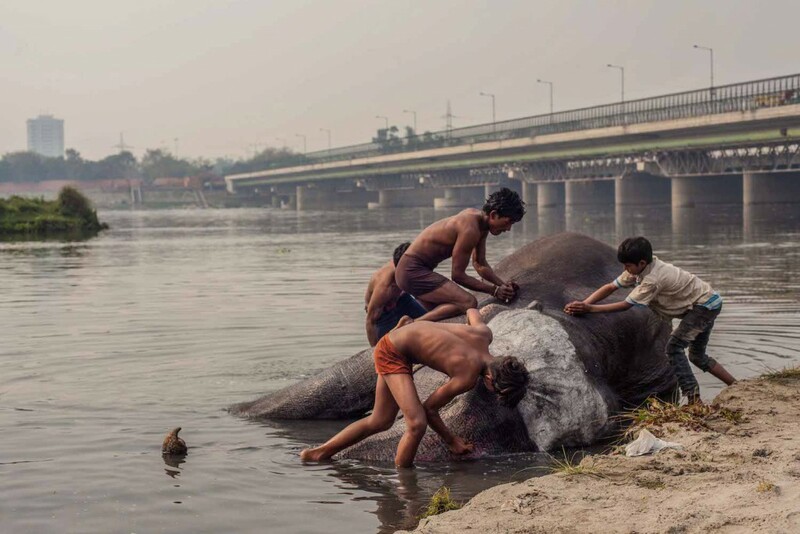 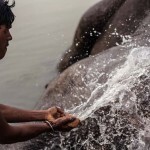 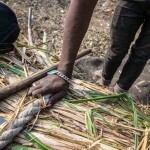 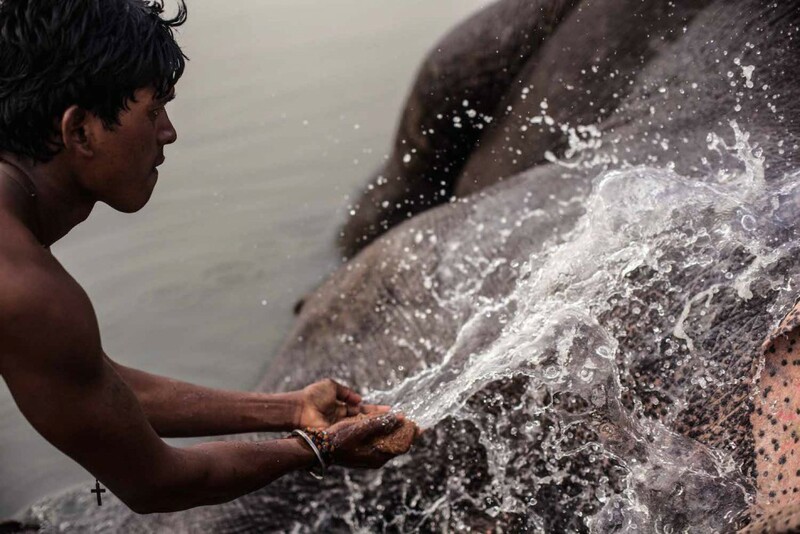 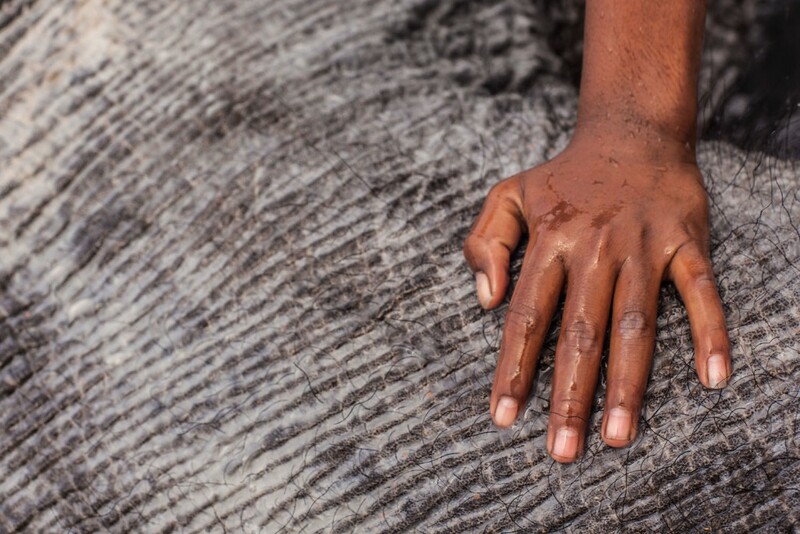 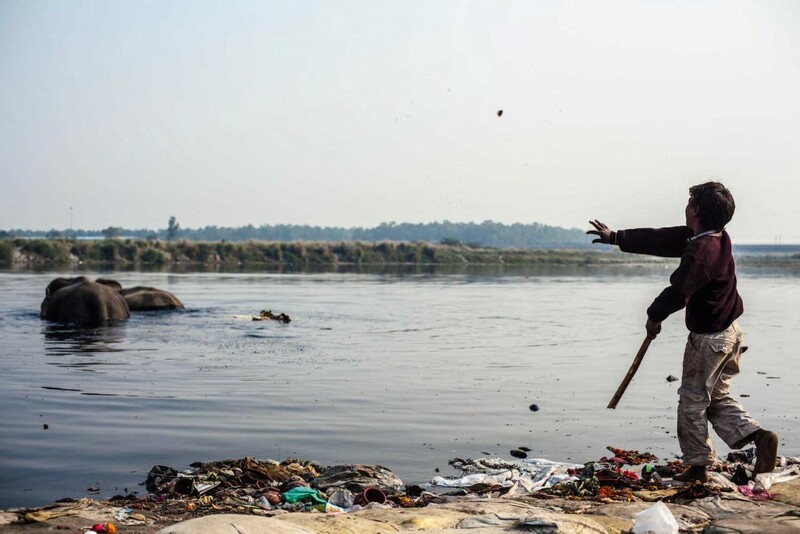 The elephants soak up the Yamuna, ‘we have to wait at least an hour before we can scrub them clean because their skin is so tough” explains Saddam. 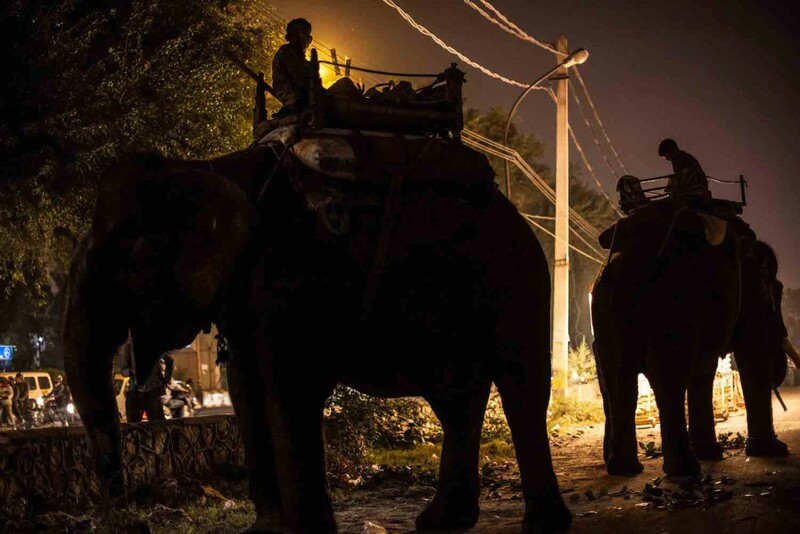 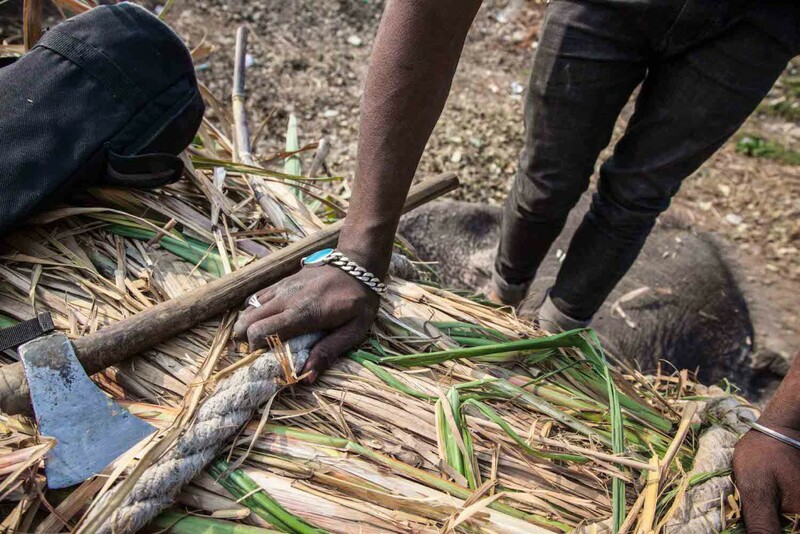 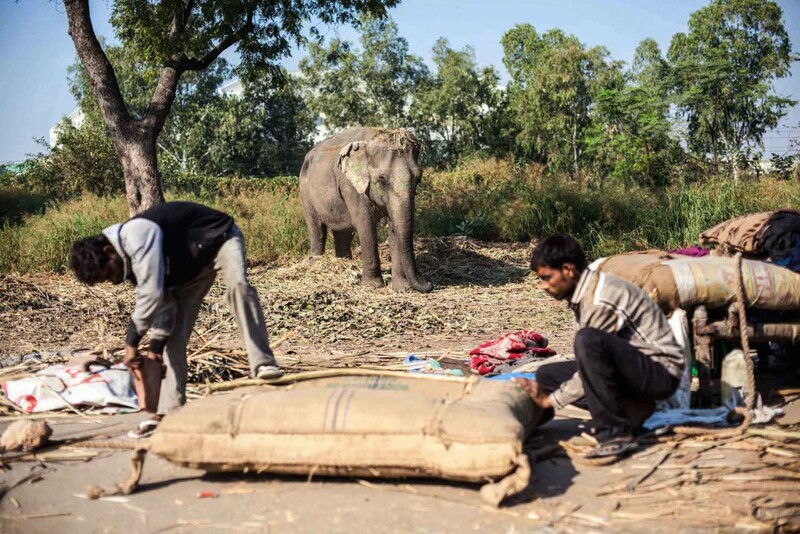 Mahouts and their elephants have become a dying breed in Delhi. 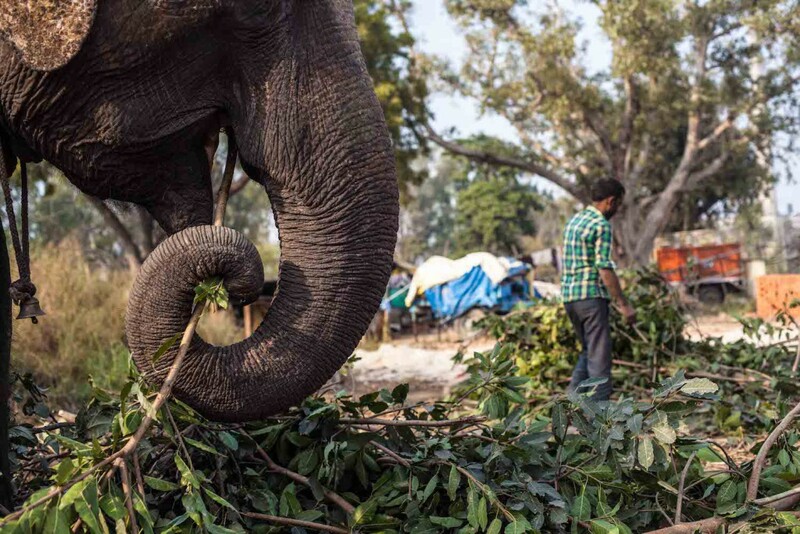 The total number of privately owned elephants is now only thirteen. 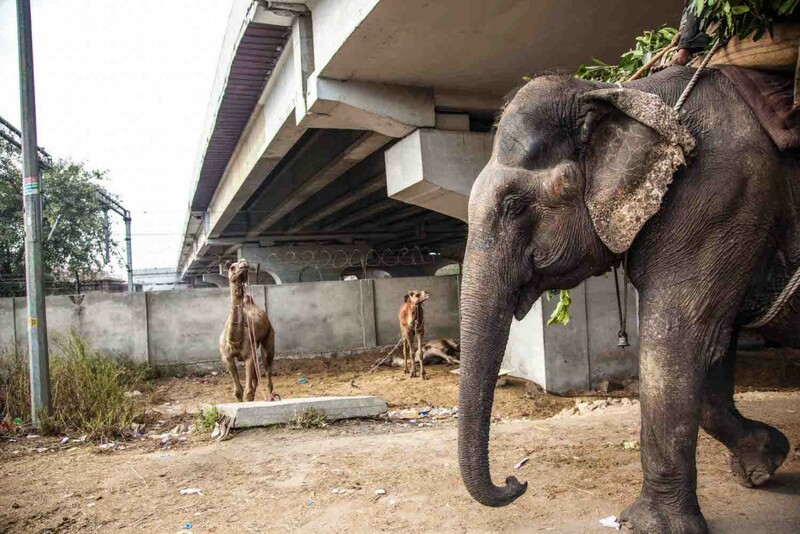 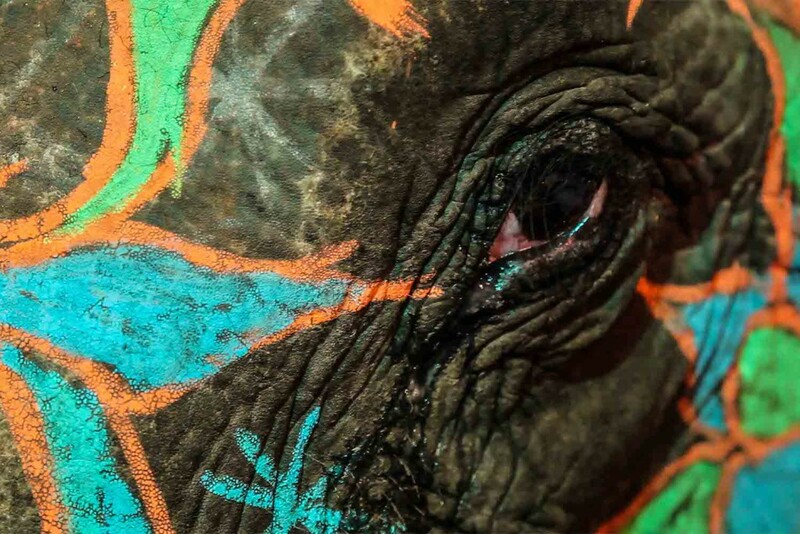 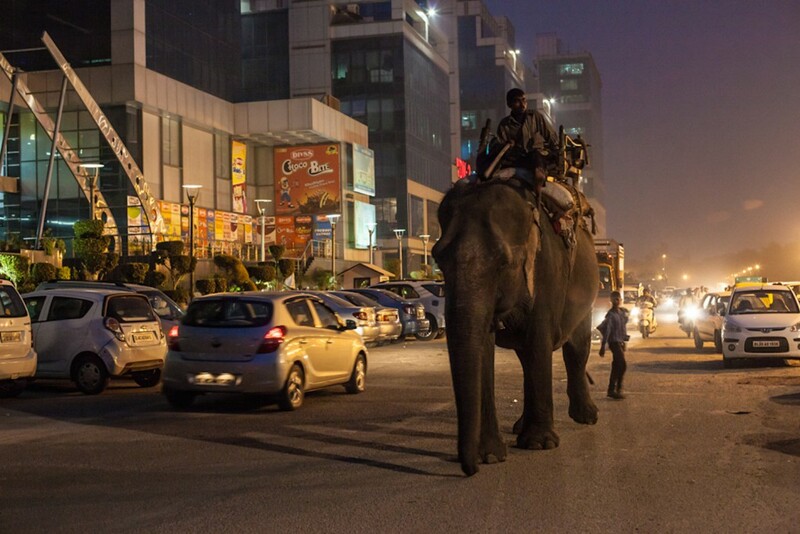 Pressure from animal rights activists and restricted permits from the government have made it impossible for owners to bring new elephants into the city. 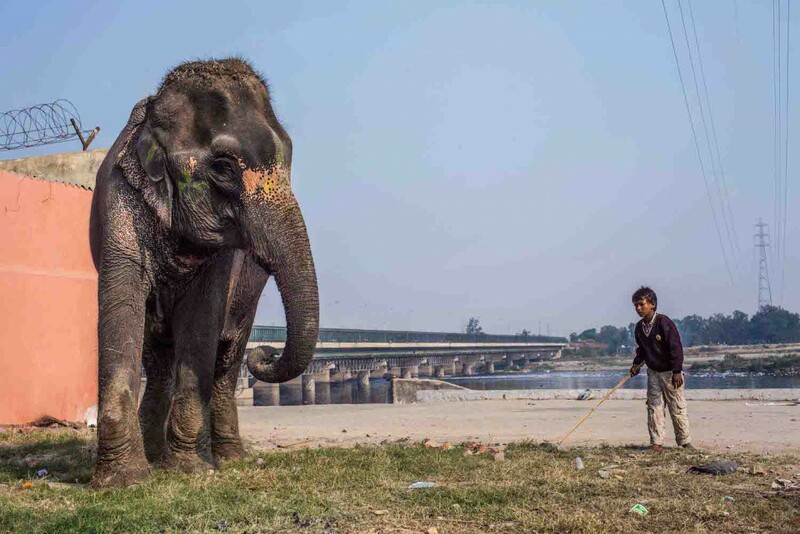 Under Schedule 1 of the Wildlife Protection Act, there are various animals listed (such as elephants) that cannot be used for performance and must only be kept for personal use. 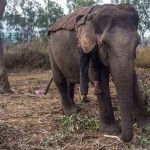 The Act does not distinguish between wild and domestic elephants. 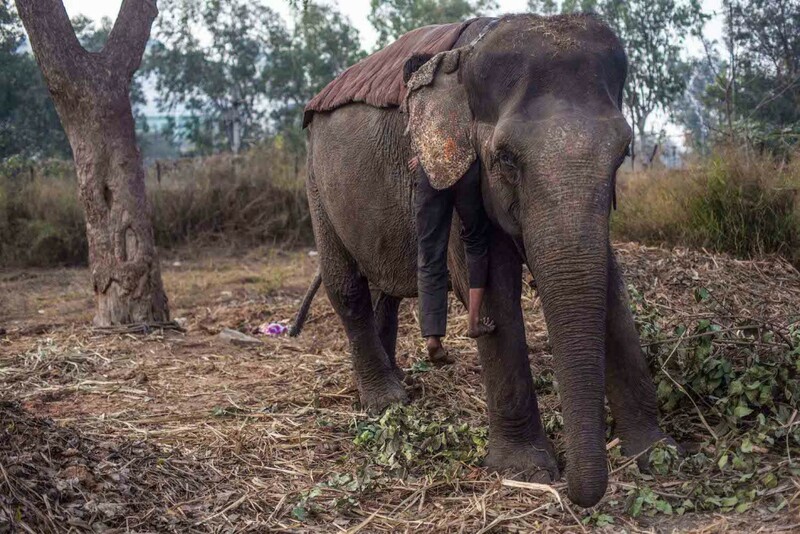 For this reason, one elephant owner who did not wish to be named claims the government is using the public ban as a way to manipulate owners to leave their elephants. 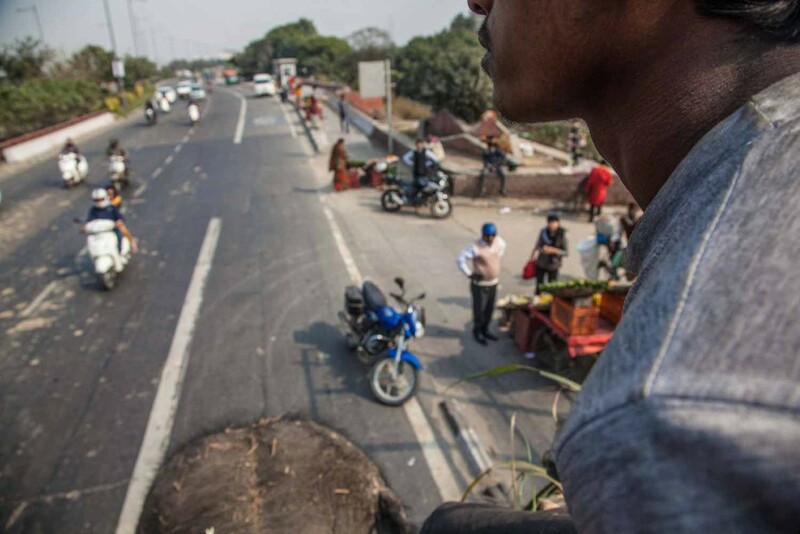 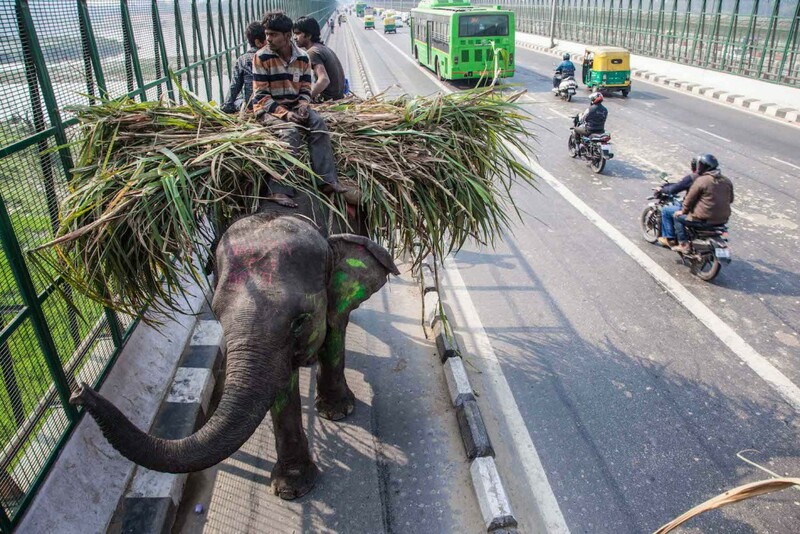 Looking out across the littered bank of the ever-growing sprawl that is Delhi, now at its height of construction and urbanisation, it’s almost startling to think these elephants are even here. 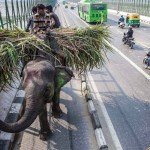 There have been a few serious traffic accidents and deaths involving elephants in recent years. 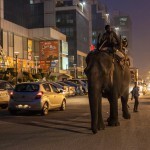 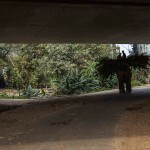 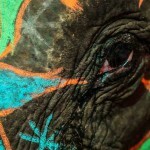 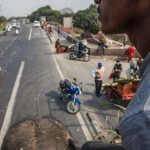 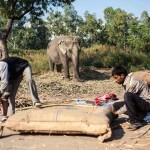 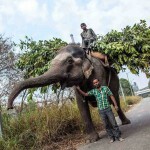 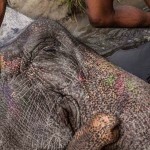 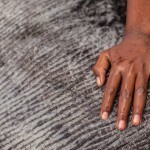 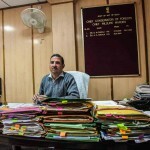 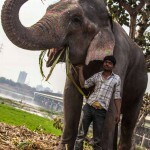 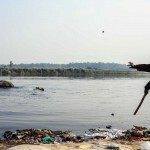 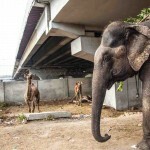 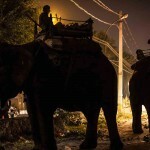 These have spurred the government to maintain the restrictions that have impacted the city elephants and mahouts alike. 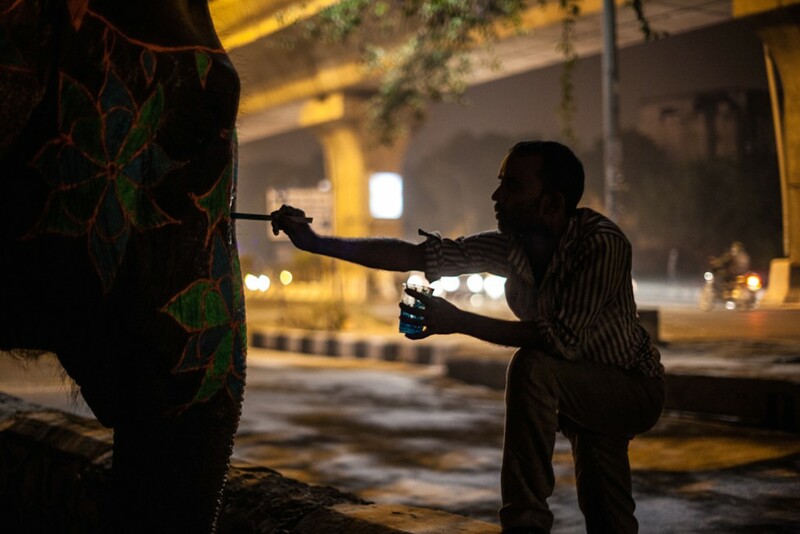 Sahil Akhter is in many ways like your average 12 year old – boisterous and playful when given a task and shy when meeting new people. 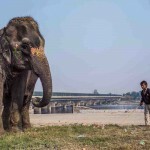 But when he comes home from school, he doesn’t play with toys or watch TV. 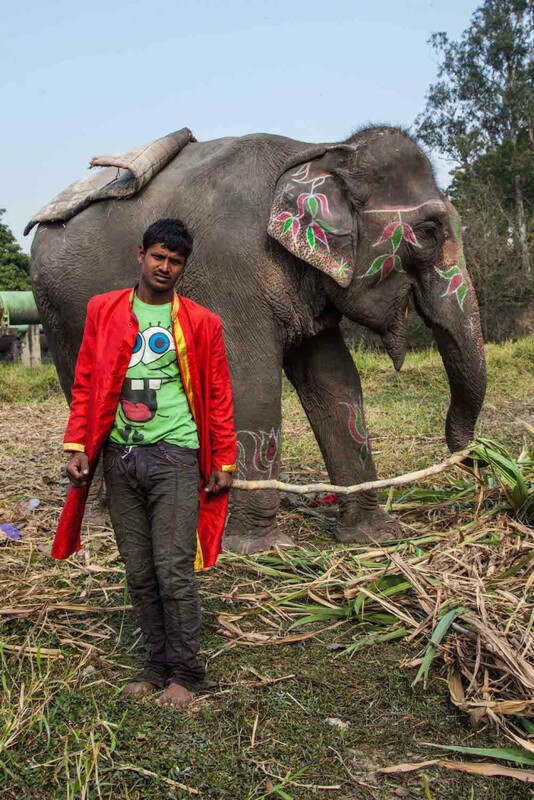 “I ride elephants, camels and horses,” he mumbles modestly. 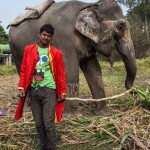 The more I learn about Sahil the more he intrigues me. 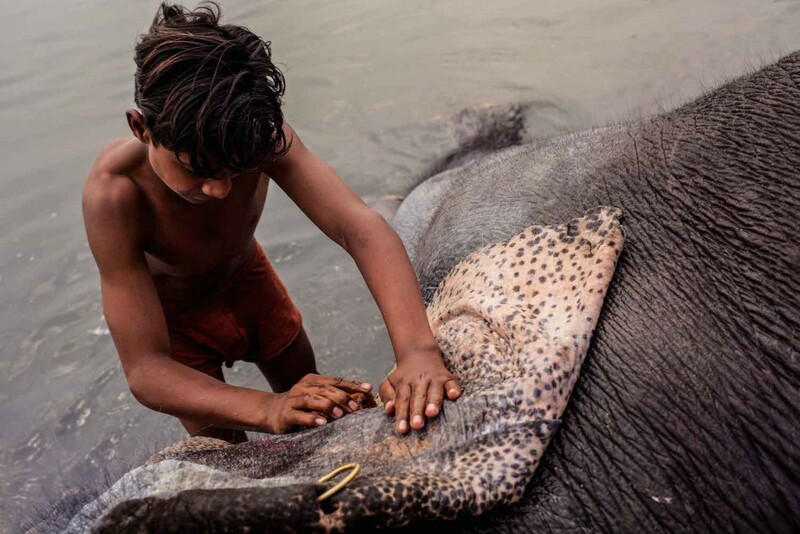 The mahout tradition is a family tradition, passed from father to son. 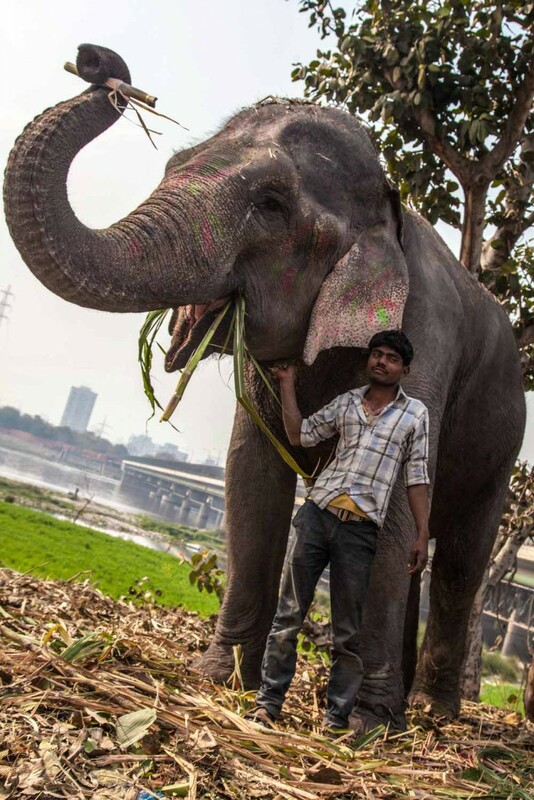 Sahil’s father was killed in an elephant accident a few years ago. 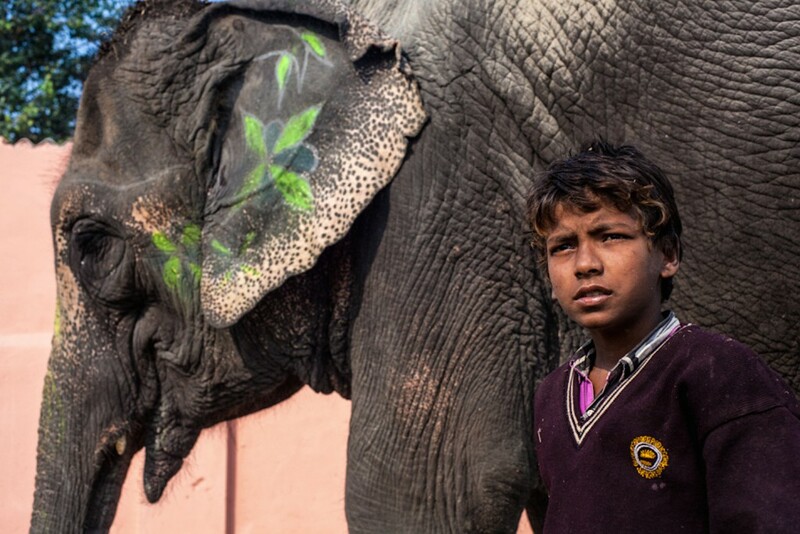 When I first meet Sahil, he is deciding whether he wants to continue with school or become a mahout. 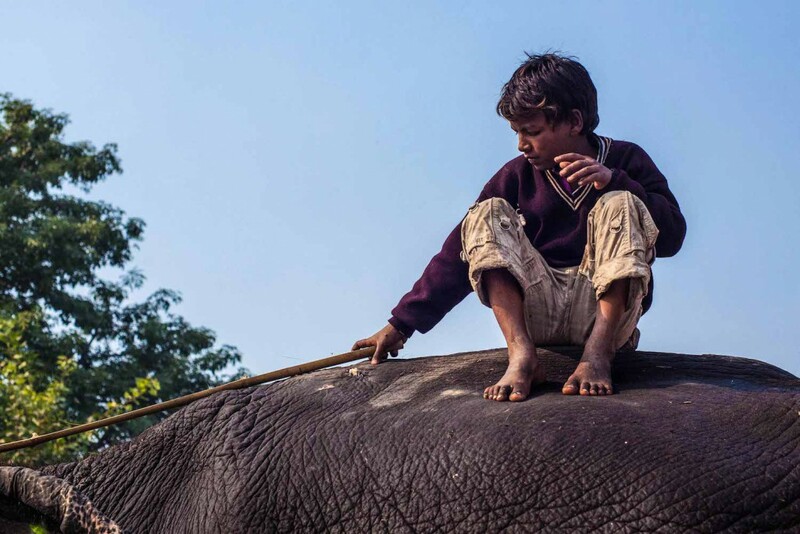 “I want him to stay in school,” exclaims Sahil’s older brother, eyes squinting as he watches Sahil playing in the distance with the other boys. 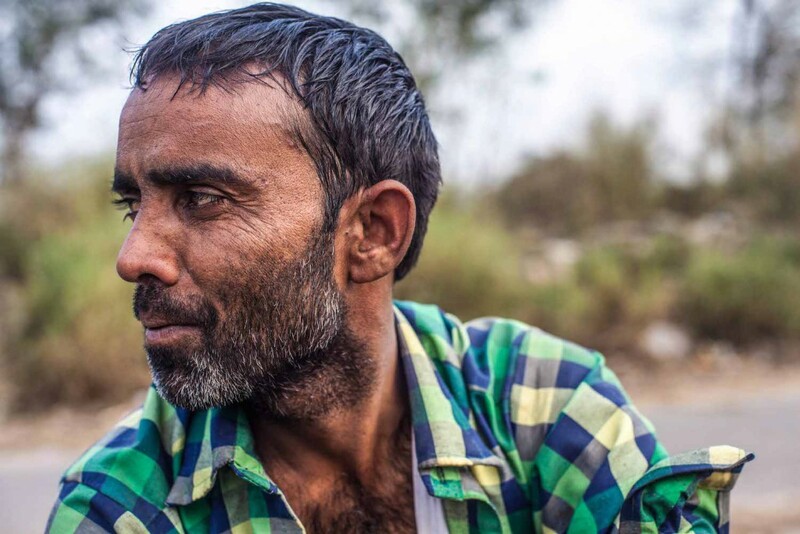 “This is not an easy life.” Sahil’s brother rides horses and wants very much for Sahil to get an education and do something different. 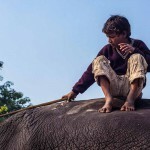 Mahouts are trapped in poverty. 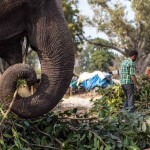 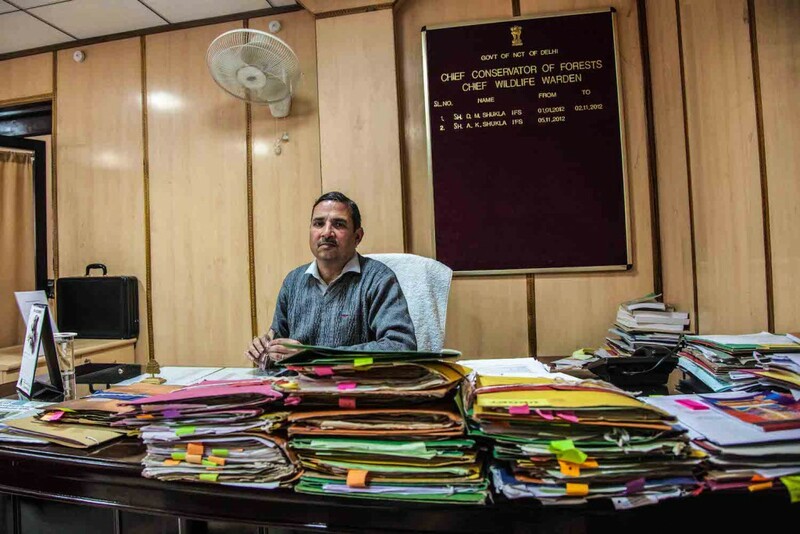 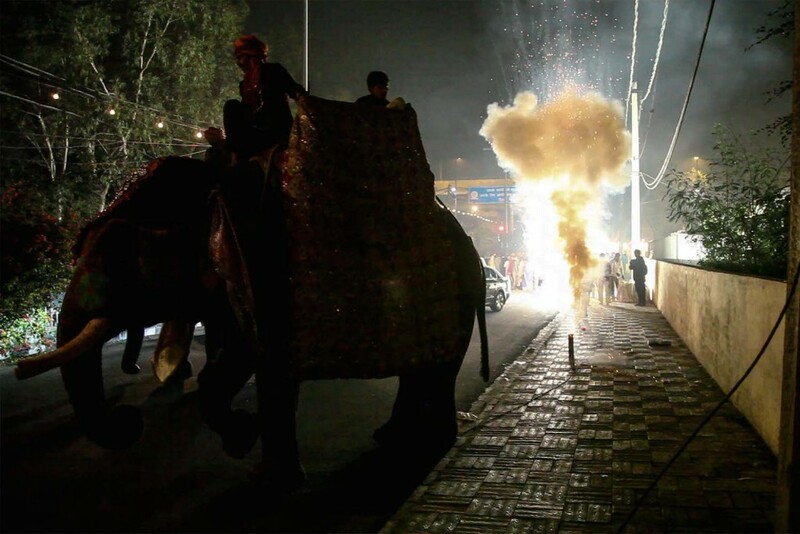 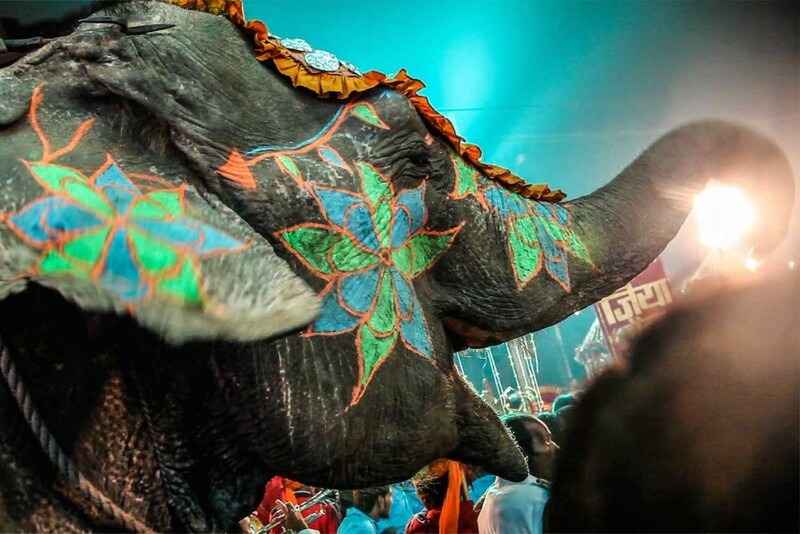 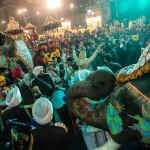 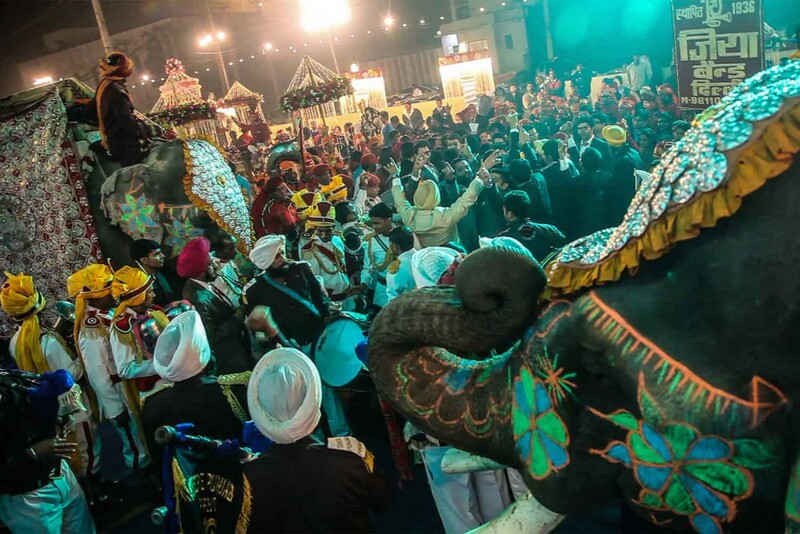 They earn the equivalent of USD 80 a month, and also receive some income from festivals and weddings in Delhi, for which demand for elephants is still high. 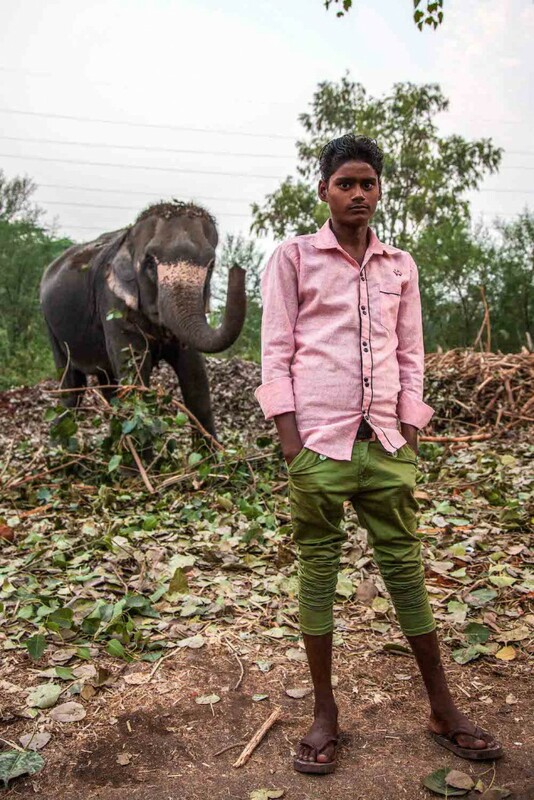 Over the next few months, I watch as Sahil refuses his brother and drops out of school to become a mahout. 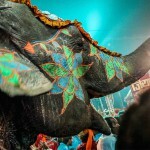 When I ask him about his future, he says with a half smile, “I want to do whatever God has planned for me. 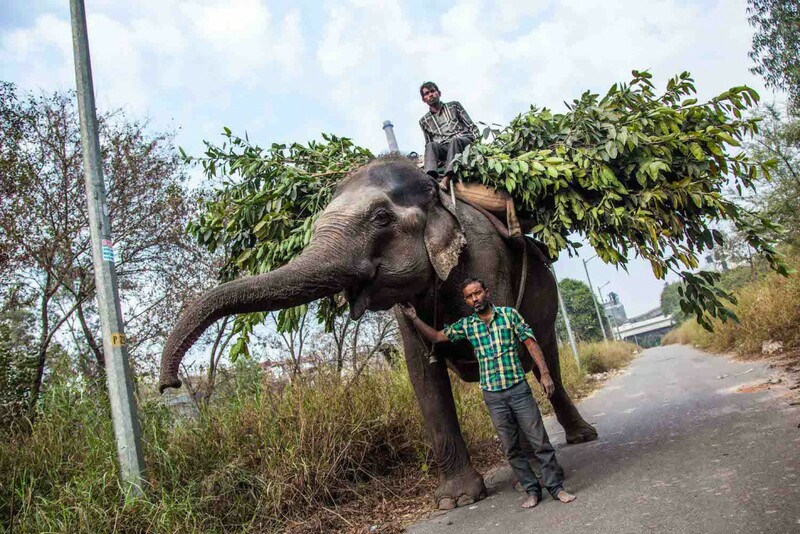 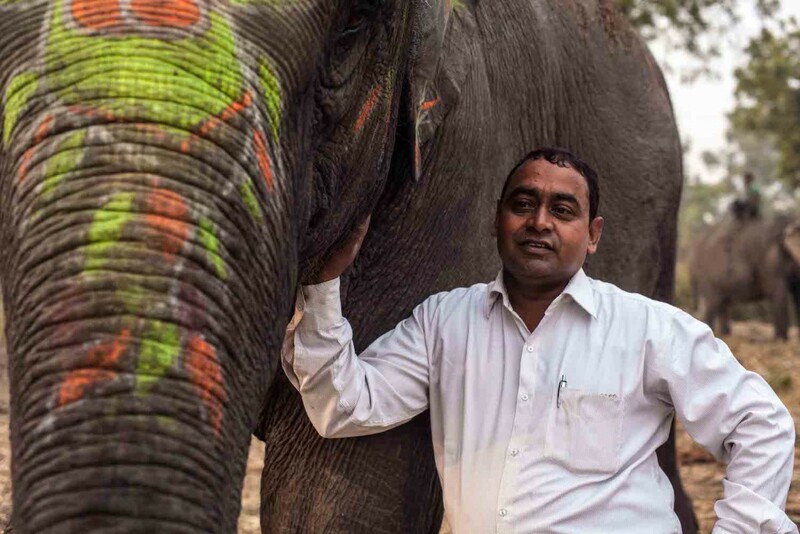 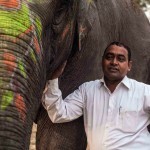 My intention is to carry on riding elephants.” Although he is continuing his family tradition, the reality of Sahil’s situation appears bleak to me. 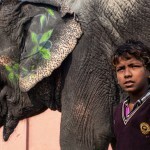 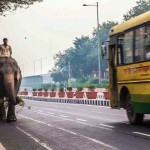 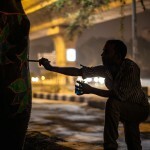 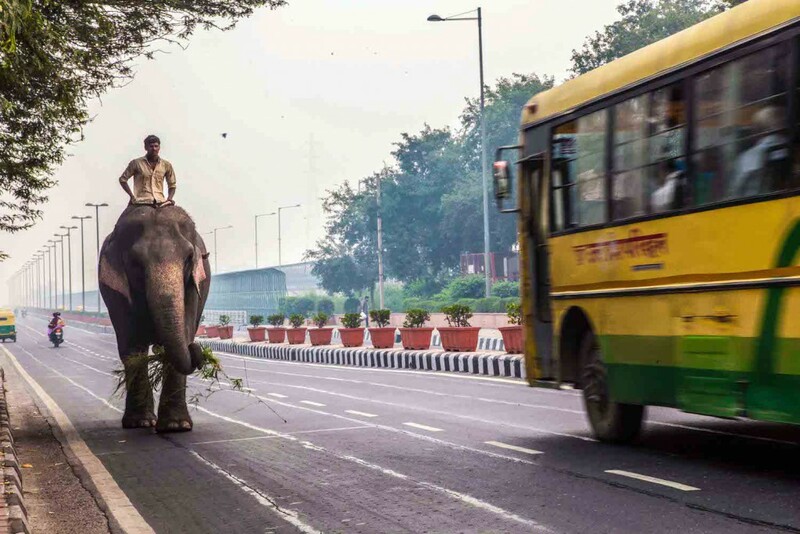 For better or worse, in the congested capital of India, this 12 year old boy might very well be the last mahout of Delhi.